Rothko invited many of the New York art world elite to his studio to view his latest, and what would be his last, series of paintings, the Black on Grays. While the event was mainly shrouded in silence, it was thought by some that these were premonitions of his death. Others thought that with the prevalence of lunar images in popular culture that they were interpretations of moon landscapes, while others thought they were paintings of photographs taken at night. 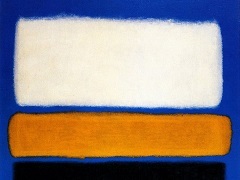 In general, they were not taken very seriously, which was devastating to Rothko, but also affirming, as he often felt that the interior world of his paintings were comprehensible to him alone. 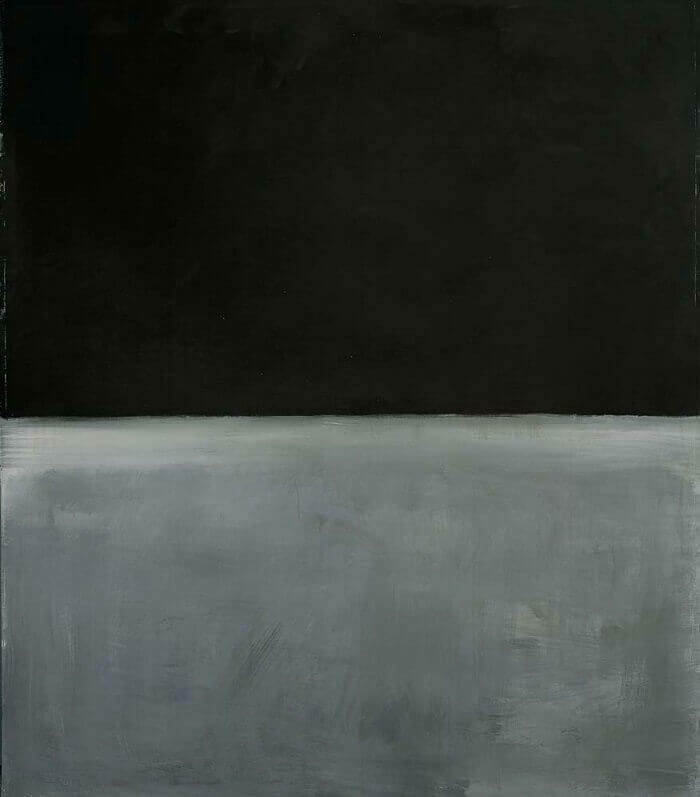 The Black on Grays were painted directly on white canvas and lacked the usual underpainting which Rothko liked to "paint against." Working in two registers only, he severely restricted the colors and scaled down the canvas to a more approachable and intimate size. The extreme contrast of light and dark evokes a sadness that played out like a psychological drama, both mythic and tragic.